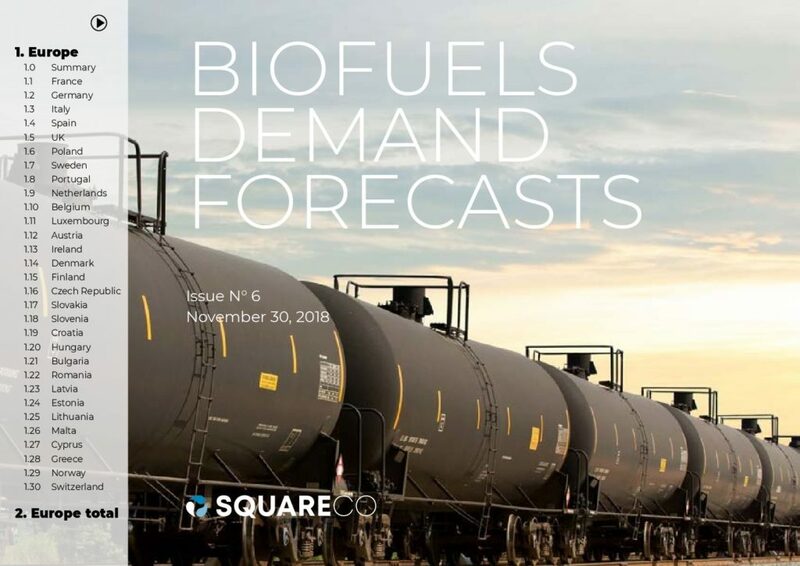 SQUARECO is a publishing and consulting company specialized into renewable fuels. 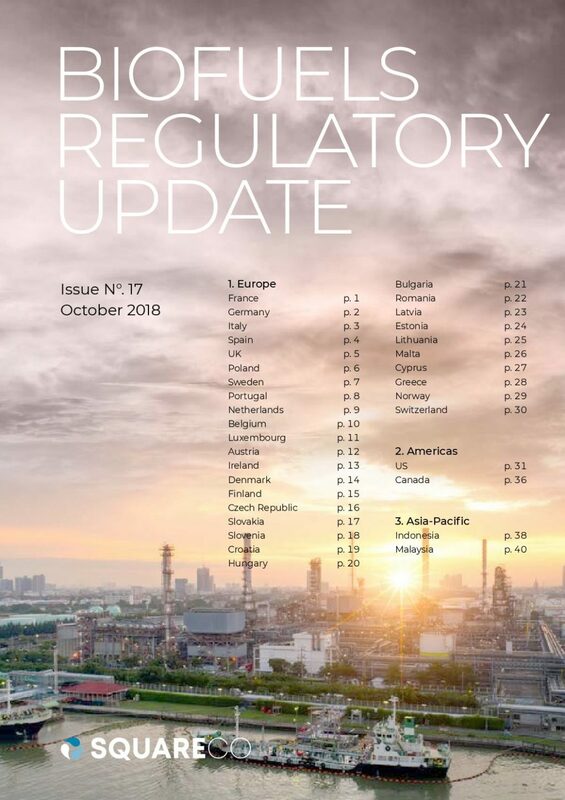 Our weekly analysis of market prices, new trends and regulatory developments is an established must-read for professionals of the field. Released on a quarterly basis, the publication synthesis the information we gather directly from ministries around the world so readers don't miss anything about blending mandates, taxation, rules and all other aspects of alternatives fuels' legal frameworks. 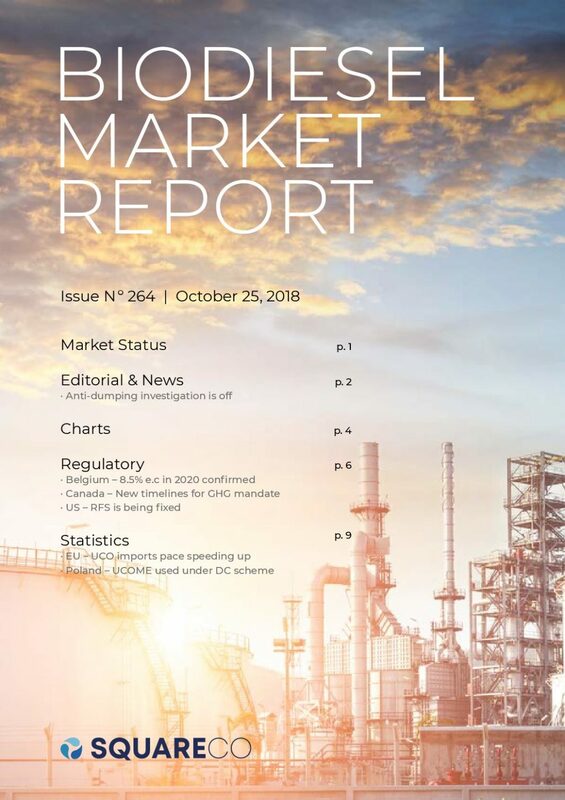 Expected by market players three times per year, the publication displays a full picture of the fuels markets in 30 countries (EU-28 + Switzerland + Norway). The demand of Fame, HVO and ethanol is specified for three years (past, current and next), with a precise split per feedstock. Tailored consulting services including work on market sizes, forecasts, mandates, use limitation, legal frameworks in specified countries and other relevant analyses. Examples of achieved work include studies about HVO standards in Europe, biofuels taxes in Sweden, certificate system in Italy or pricing of wastes qualities globally.